East of Mecca is beautifully written and addresses a subject that is rarely discussed. Why did you want to write about Middle Eastern culture? I lived in Saudi Arabia for a year when my husband accepted a job with Aramco Oil Company. We lived on a company compound called Ras Tanura, located on the shores of the Persian Gulf. Within the compound were beautiful, white, sandy beaches, and flat, desert terrain filled with exotic, thorny scrubs. The sun rose every morning over the sea and set each evening over the desert. Both events were in stunning Technicolor! Throughout my year in Saudi, I was exposed to camels, Bedouin markets, delicious food, beautiful art, jewelry, and architecture, and haunting Middle Eastern music. I even learned to belly dance! 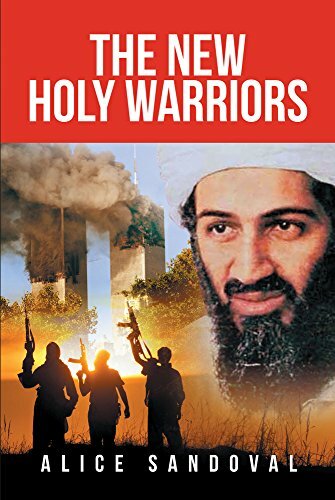 Although we lived on the company compound, I quickly discovered the male-dominated, fundamentalist Islamic Kingdom’s rules for ex-patriot women were not so different than those for Saudi women…loose, modest clothing, driving or riding bicycles off the compound is forbidden, as is leaving the compound unless accompanied by your husband or in Aramco approved transportation. My first day in Saudi, I was fingerprinted, photographed holding a placard with my husband’s ID number, and my passport was confiscated by Aramco. It would only be relinquished to my husband after he had applied for an exit-visa and it had been approved. I had my first panic attack when I realized I couldn’t just get a cab to the airport, board a plane, and go home. In one day, I lost both my identity and my freedom. As an American Clinical Psychologist not affiliated with Aramco, I had other women from the compound (American, European, Saudi and other Arab women) literally knocking on my door for counseling. I practiced secretly and illicitly (without a work-permit) the entire year I was in Saudi. Off the compound, restrictions against women were much more apparent. Ruled by sharia law, Saudi women are required to be covered head-to-toe in black long-sleeved, ankle length cloaks called abayas, hijabs (headscarves), and face-masks called niqabs. All these were then covered with veils that render women completely invisible. Religious police called matawain patrol the streets of villages and cities arbitrarily deciding whether or not a woman (Saudi or Western) is properly dressed and properly behaved. Unless restaurants have screened off “family” sections, women are not allowed inside. It was in Saudi, through my work with other women, where I learned firsthand about oppression and some of the other appalling conditions Saudi women face, including being under complete control of their husbands, fathers, or other males in their family, lack of personal autonomy, being forbidden to drive, honor violence, arranged marriage, child marriages…all in addition to the rigid clothing restrictions…being totally cloaked in black, even in sweltering weather. The Middle East is a complex culture, rich in contrasts. And yet, little is written about the treatment of women in Saudi. Inspired by my own experiences and those of the women I worked with, writing East of Mecca became my passion project. I wanted to convey the exotic and the beautiful, while respectfully educating Western readers on the appalling conditions of women living under sharia law. I wanted to take readers beneath the veils that make Saudi women “invisible” and give them faces. I wanted to give a voice to those women forbidden to speak for themselves. My greatest hope is that education can lead to advocacy and action toward change. Sarah is a fascinating character and a strong woman in her own right. What were the driving ideals behind the character’s development throughout the story? Sarah is, first of all, devoted to her husband and children. And, with a social work background and aspirations to be a Clinical Psychologist, Sarah is a caregiver by profession and by nature. 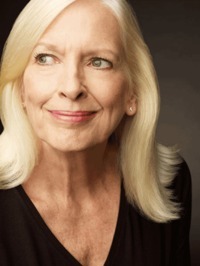 However, like most Americans, she is naïve to the experiences of others in totally different cultures. Initially, she views life in Saudi Arabia as a wise financial investment and a grand adventure. Throughout the story, with all she personally experiences and witnesses happening to other women in Saudi, especially through her relationship with Yasmeen, Sarah becomes an advocate for human rights on a much more personal level. I truly enjoyed Yasmeen’s character and thought she brought depth and nuance to an intriguing culture. What was the inspiration for the relationship Sarah and Yasmeen have? While it’s easy to have sympathy for people in other cultures, or those who are different from us, empathy is achieved by the ability to understand and share the feelings of another…from their perspective. To actually feel what they are feeling. My goal in creating Yasmeen’s character was to have my readers truly know her as a person, not just a face hidden behind a veil. I want them to experience her personality and empathetically relate to her joys and her struggles. The deep friendship Sarah and Yasmeen share, shows how they…and women everywhere…are the same, no matter how different their cultures might be. I am currently working on my second novel. Orchard Road is about a Clinical Psychologist, with a very dark past, who is triggered into violence by one of her patients. The time and setting is both current day Chicago, and Singapore in the 1970’s. Since I’m still in the midst of writing, I don’t know when it’ll be published, but I’m hoping it will be available within the next two years. 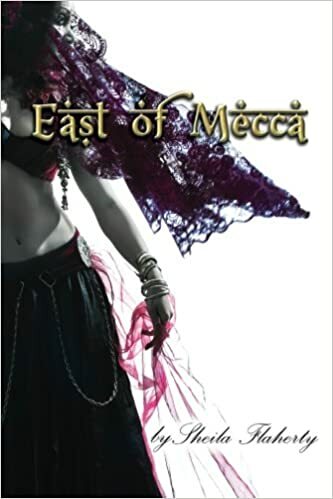 This moving and unforgettable novel, East of Mecca, tells a timely, harrowing, and heartbreaking story of love and betrayal, the transcendent power of sisterhood, and the ultimate price of oppression. 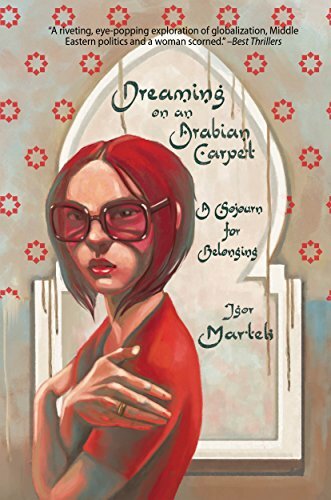 Driven by financial desperation, Sarah and Max Hayes are seduced by promises of a glamorous expatriate lifestyle in Saudi Arabia. Sarah surrenders her career when Max accepts a prestigious job with Ocmara Oil Company and they relocate their family to the shores of the Persian Gulf. Locked inside the heavily-guarded Ocmara compound, Sarah becomes invisible within the male-dominated, fundamentalist, Islamic Kingdom, which is governed by sharia law. Gradually, she is drawn into a clandestine, illicit friendship with Yasmeen, a Muslim Saudi woman. Together they find freedom beneath the veils and behind the walls of the Saudi women’s quarters—until inconceivable events force Sarah to make life-or-death decisions. Told with riveting authenticity and exquisite detail, East of Mecca explores gender apartheid through the abuse of absolute power with an elegant balance of cultural nuance and moral inquiry. Long after you have turned the last page, you will be haunted by the vivid characters and powerful scenes illuminating this tour de force. This book provides comments on political issues and events, including Chinese reforms, politics, culture, Islamic reformation, contradictions in Western free market economy, and rise of right-wing forces and nationalism under the drive of the development of robot and internet. This book shows totally new points of view and perspectives to readers, which is helpful for readers. What are the benefits of your book to readers! The western world is being in the flood of nationalism and right-wing forces, and great differences and gaps occur. The resulting outcomes include mass unemployment, and severe social problems. We can consider, comprehend and solve such problems from a totally new perspective. I have been voicing my comments on the Internet, and most of my comments have been adopted by the government. I think it is time to compile these comments into a book to share with the public. Almost all my commentary articles are dated, and you can verify my comments and judgment on political events according to the date and the progress of relevant political events. Although my viewpoints in this book are profound and afford for thought, they are presented colloquially. Thus, all people can understand me. That’s to say, this book is suitable for all people. The first article in this book was written in April 2004, and the last in March 2016. My recent articles are available at http://www.aaamary9.com for free, and new articles are written every month. How did you get this title? All religions have entered the dharma ending age, the power of all religions will disappear, and the world will fall into chaos and crisis subsequently. I intended to help readers redefine good and evil or bring the evil to trial via case analysis. Thus, I titled this book Century sentence. 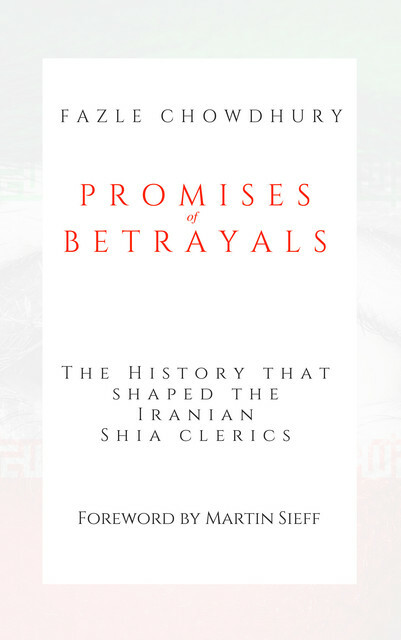 This book is full of sharpest contradictions and evilest events in the world, so the author is heavy-hearted. This cover is the best expression of the author’s feeling. What is the largest difficulty of this book? This book is not consistent literally and internally. Ordinary readers can understand the literal meaning only, and I don’t think there are many people who are able to perceive the connotation of the book. Thus, many readers will misunderstand the author, or the author deliberately intends to make him be misunderstood. The author will never mind any kind of comments from readers, positive or negative. 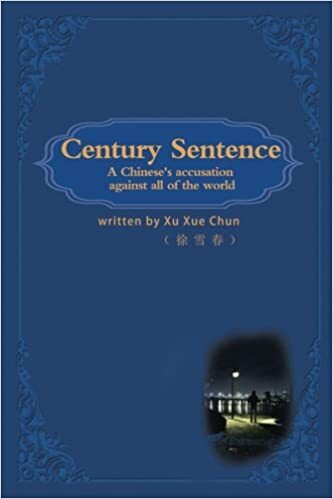 The commentary on China proceeds from the analysis of the Chinese political phenomena on the basis of the creation of human consciousness, subconscious, culture, and the origin of Chinese culture in order to provide opinions on China’s reform from the perspective of an ordinary worker and to try to change the political environment in China with the strength of a netizen. 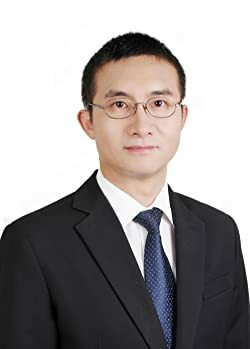 Though most of my remarks had been deleted for being too extreme, yet in my point of view, my remarks posted on the Internet did make a difference on public opinion, thus affecting the political direction of China. Chinese government has long been harboring Islam, with whom I had imprisoned my anger. However, I was pushed over the edge when I heard the news that terrorists of ISIS ornamented poles with human heads. I decided to crush Islam on my own as an ordinary netizen. Islam is not as horrible as what you have imagined, but it will be easily crushed and swept like a piece of trash as long as proper methods and theories are adopted. Western countries are respected for a reason–its advancement–yet there are certain irreparable deficiencies, and they are revealing themselves. Something terrible might happen if these deficiencies are not properly handled. 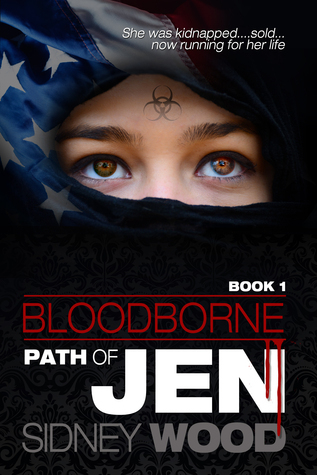 Path of Jen is a political thriller following the harrowing journey of a young Iranian-American girl that’s kidnapped. Some events in the book were chillingly similar to real life events. Did you take any inspiration from real life when developing this book? Current events certainly inspired my writing, and there was no shortage of material. We experienced the refugee crisis in Syria, the unprecedented growth of ISIS and all of their atrocities, and multiple attacks by radical Islamist across Europe and the US. I feel fortunate that the idea for this book came when it did, although in my heart I truly wish it wasn’t so relevant. This book lays bare a multitude of polarizing issues. On the surface there is the main issue of radical Islam and the very real threat it poses to the entire world. I do not apologize for presenting the truth as I see it on that matter. That alone is enough to inspire some, anger others, and turn off a whole bunch of potential readers. So be it. Underneath the issue of radical Islam lies the unquestionably connected and saddening issue of women’s rights. Horrific injustice is perpetrated against women under Sharia Law every day. That is one of the main reasons I chose to make Jen’s heritage Iranian, and Tehran as her place of abduction. Iran is a country with rich culture and history that only recently leapt backward to a near medieval stance on women’s rights and individual freedoms. Jen’s observations and experiences explore and expose the inconsistent message to young women that a male dominated Muslim culture whispers with a seductive smile. Jen goes to Tehran on a family trip where she’s kidnapped and transported to Syria. I thought the details of the locations were fairly accurate. What experience do you have with Arab culture? Many of the places and scenes in the book were taken from my own experiences as a soldier in Iraq. 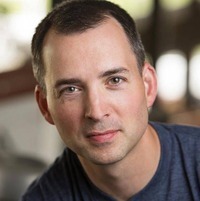 Suicide bombers, IEDs and Extremists were a near every day occurrence, and they instilled a heightened sense of awareness in me that I will never be able to let go of. While in Iraq, I visited the Iraqi monuments to the Iran-Iraq war near the Green Zone in Baghdad. That began my curiosity into Iranian culture and history. When I discovered the Islamic Revolution of 1979, I began reading on the subject of women’s rights. I found that some of the best advocates were women who live in, or have lived in, Iran, and their stories were heartbreaking. To effectively capture the other areas Jen was likely to visit, I turned to my laptop. I spent many hours reading travel blogs, browsing photos, and researching everyday life in Iran and Syria. I enjoyed Jen’s character, she is intelligent, headstrong, and uses her wits to stay alive. What was your process in creating her character? The idea for Jen came to me one day while I was quietly remembering one of the medics I served with in OIF2. She was visiting the bazaar inside the Green Zone, in October of 2014, when two suicide bombers blew themselves up, killing and injuring several Americans and Iraqi nationals. I wasn’t with her on that day, but I remember her describing the blood, carnage, and utter chaos. I noticed a subtle change come over her. She would never be the same, I was sure of it. One of the lessons we learned from Iraq and Afghanistan, was that we could never become complacent. As fast a we could devise a new armor or defense, the jihadists would devise a new way to defeat it. What would be more devastating than a suicide bomber? The answer was, combining the violence and terror of a suicide bomber with the madness and fear of a deadly viral outbreak. It’s difficult for a man to write from the perspective of a young woman, and I struggled with it at times. I posed questions to my own teenage daughters when I wasn’t sure if I was on the right track, and I utilized female proof readers. I also drew from my own experiences with women as a firearms instructor, Marine, Soldier, and trainer. I find that women are often quick to pick up the mechanics of firearms manipulation, and I crafted Jen to have that naturally intuitive characteristic. I decided that above all else, I wanted her to have integrity and personal courage, but I also wanted my own girls to think she was a badass. What is one thing that you think that is misrepresented in the media about Arab culture? I think westerners are under the misconception that Arab is synonymous with Muslim or Islam/Islamic. For some reason people confuse race, culture, and religion when talking about the middle east in general. There are many races and cultures in the middle east, and although Islam is the dominant religion, there are others including Christianity. That misconception is relatively harmless, though. The real misconception is the one portrayed every single day by the media. There is a very strong message being delivered to the world that Islam is strictly a religion of peace and to question that is wrong. Somehow, it is considered intolerant and unfair to point out the crimes committed against women, gays, and children under Islamic Law, but the same is not true for Christianity. A Christian who doesn’t want to bake a cake is a threat that must be dealt with, but a radical Muslim who kills a nightclub full of Americans because of their sexual orientation is only a problem because he was able to buy a gun. What is one thing that you hope readers take away from Path of Jen? I want the reader to know that having a personal relationship with God is not something to be ashamed of. I want them to know that the spirit of America is still alive and strong, and under new leadership we can truly be great again. In one sentence: it’s not what life throws at you that’s important, it’s how you handle it. Believe it or not, those three sentences are connected. Kidnapped, sold, now running for her life. Jen is an American girl who struggles with her Iranian heritage. At sixteen she is kidnapped and sold into slavery. Follow her journey as she fights for her freedom, stands up for truth, and finds her faith. Filled with action, intrigue, and suspense, Path of Jen will get you fired up and tug at your heart all at once.